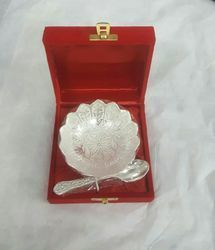 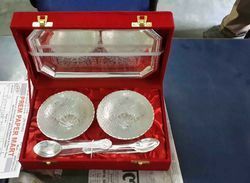 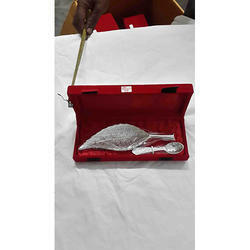 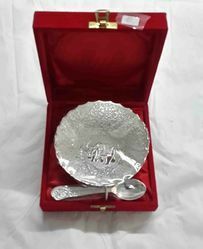 We are a leading Manufacturer of silver plated decorative plate, silver bowl, silver plated mug 16 & 18 oz, silver plated bowl, silver plated cutlery and decorative silver kettle from Moradabad, India. 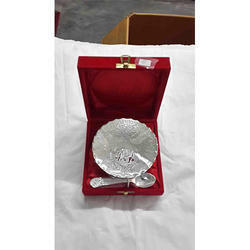 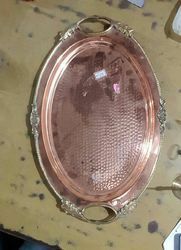 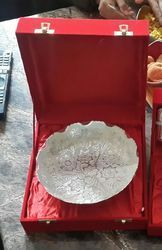 Our organization is counted among the reliable firms offering Silver Plated Decorative Plate. 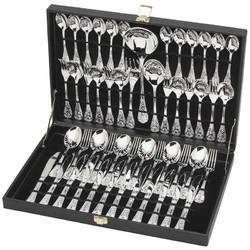 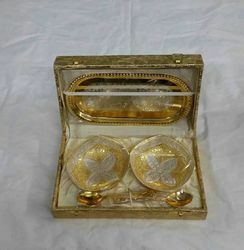 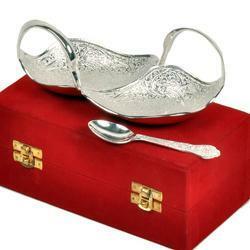 These products give rich and classic look to the dinning table. 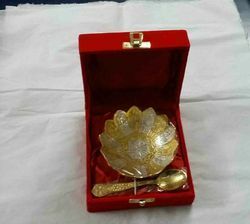 All the job works are executed by us under the supervision of experienced quality auditors as per the clients' specifications. 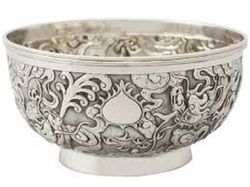 Our product range are widely appreciated by the clients for their features like durability, long shelf life, reliability and corrosion-resistance. 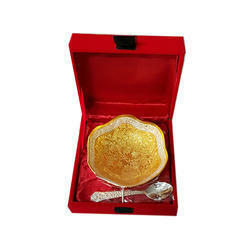 Clients can avail these products as per their requirements. 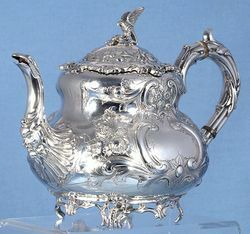 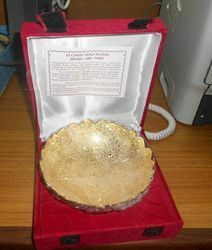 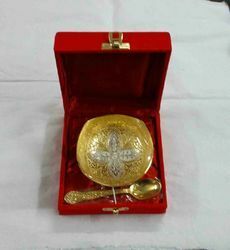 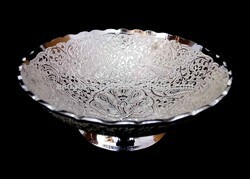 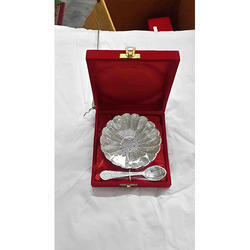 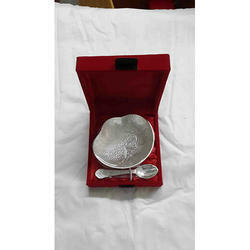 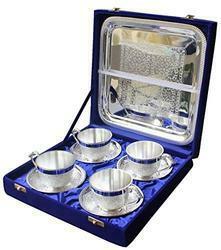 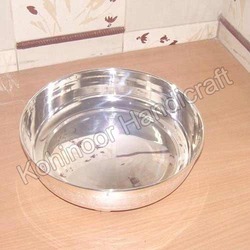 Our expertise of this industry has enabled us to offer a range of Silver Bowl. 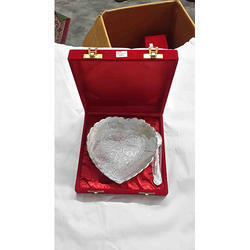 These products are designed to add grace and elegance to the decor of the surrounding and are recognized and appreciated by our customers for their intricate pattern, sophisticated looks and long life. 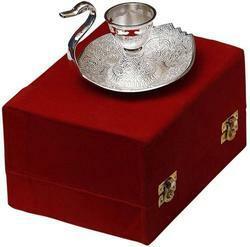 The products offered by us can also be customized as per the choice of the customers.